Pixels Per Foot depends on the distance from the camera, the focal length of the camera lens and the resolution of the camera. 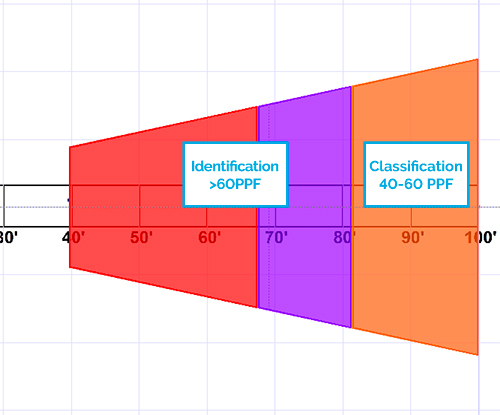 The longer the focal length of a camera's lens, the higher PPF at a longer distance at the expense of a narrower field of view. An easy way to think about it is how many pixels a license plate (a US license plate is about 1 foot wide) would take up at a certain distance. If a license plate is 100 pixels wide in a recorded image, then the scene at that distance is 100 Pixels Per Foot. 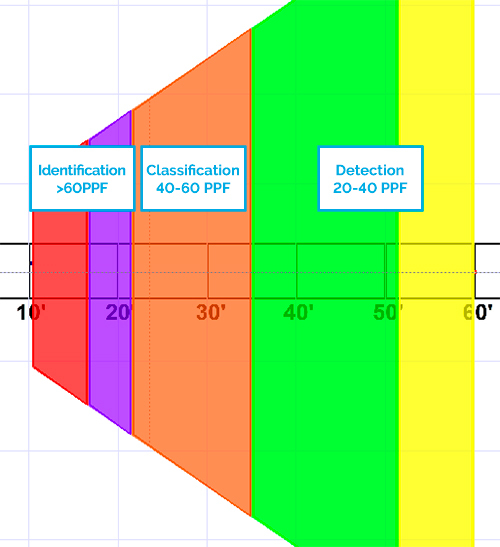 For more information about Pixels Per Foot and calculating the effective range of your camera, please see the DIY Guide How Far Can I See With My Cameras?